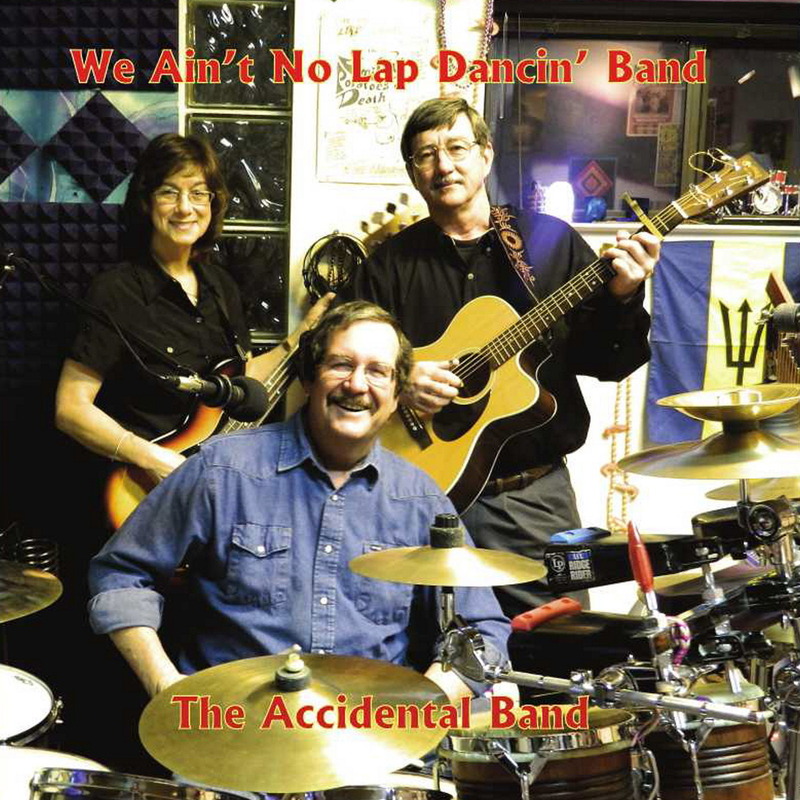 The Accidental Band's CDs are available in Stephenville at the Literary Lion and in Proctor at HANDY'S LIQUOR STORE. Or you can order them here and pay through PayPal. See below. And of course you can buy them from me in person. 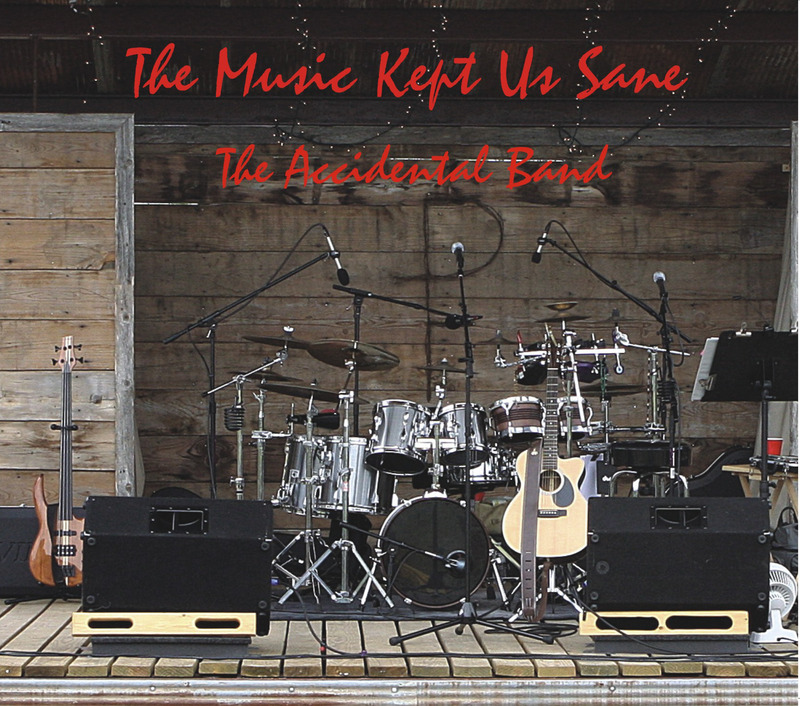 If you support the Accidental Band, do us a favor and buy the CDs, even if you're going to rip the songs off of them to put them on your Ipod, Smart Phone, or whatever is the latest device. Why? 1. You get CD-quality sound--yes, there's a difference! 2. 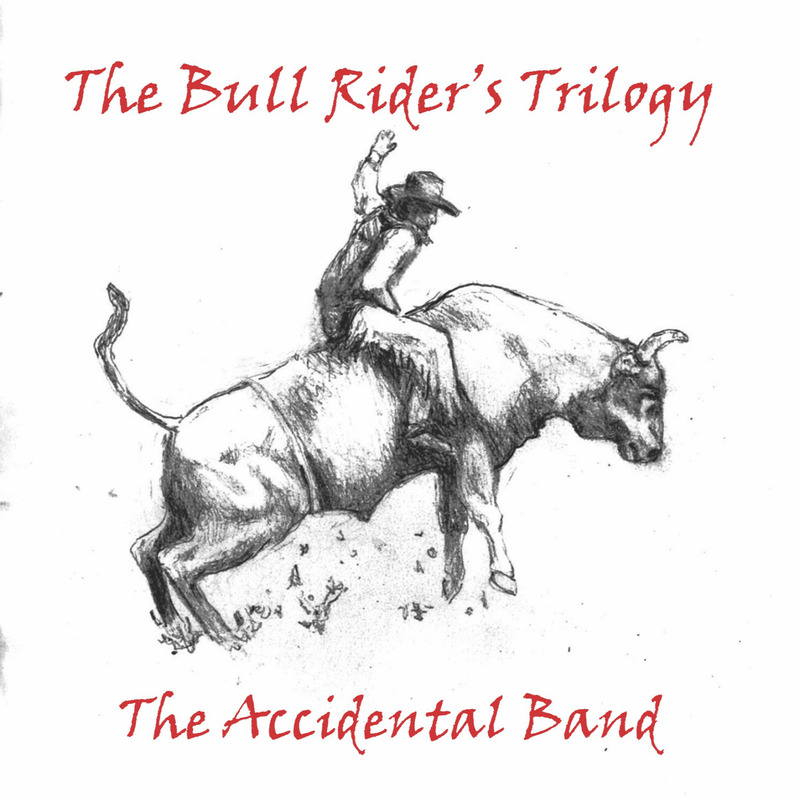 You get interesting photographs of the band and, on The Bull Rider's Trilogy, original artwork. 3. You'll make it possible for us to continue recording CDs. The amount that we get from digital downloads is miniscule. We don't make that much on the CD sales either, but immensely more than we do on digital downloads. OK, if you insist, you can download crappy MP3s from CD Baby, ITunes, and other digital retailers. The Bull Rider’s Trilogy blends elements of old-time cowboy songs, Mexican corridos, traditional folk, and a hint of country blues. All songs are written by lead singer and guitarist Craig Clifford. "If you’re a songwriter living in Erath County, Texas," says Clifford, "with Ty Murray and all of the other great bull riders in the area, it’s almost mandatory that you write a few songs about bull riding." "Rosa" is about the ill-fated love affair of a young bull rider and a young Mexican girl, "Romeo and Juliet in Erath County," says Clifford. "Ridin’ Bulls" chronicles the encounter of this bull rider with the great Red Rock. In "The Bull Rider’s Lament" he is an old man looking back on his life. This collection is what used to be called a "concept album." And, although the songs can be appreciated independently, the interconnections among them add to the meaning of each song. Guest artist Joan Huggins sings harmony on "Ridin’ Bulls." 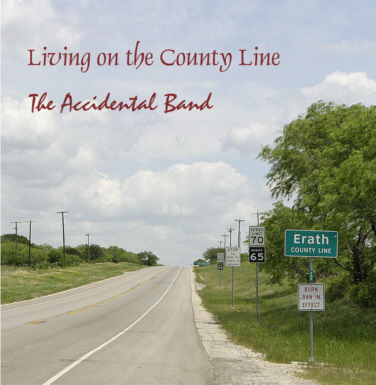 The Accidental Band's debut album, Living on the County Line, was released in spring of 2009. 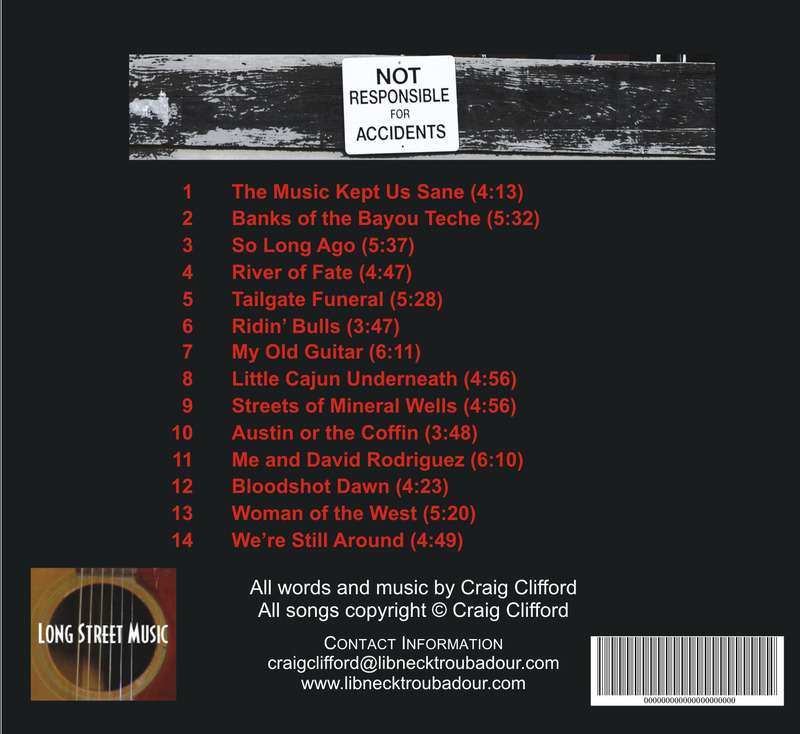 The songs on this album, all written by lead singer and guitarist Craig Clifford, weave together the people and places of Erath County, Texas. 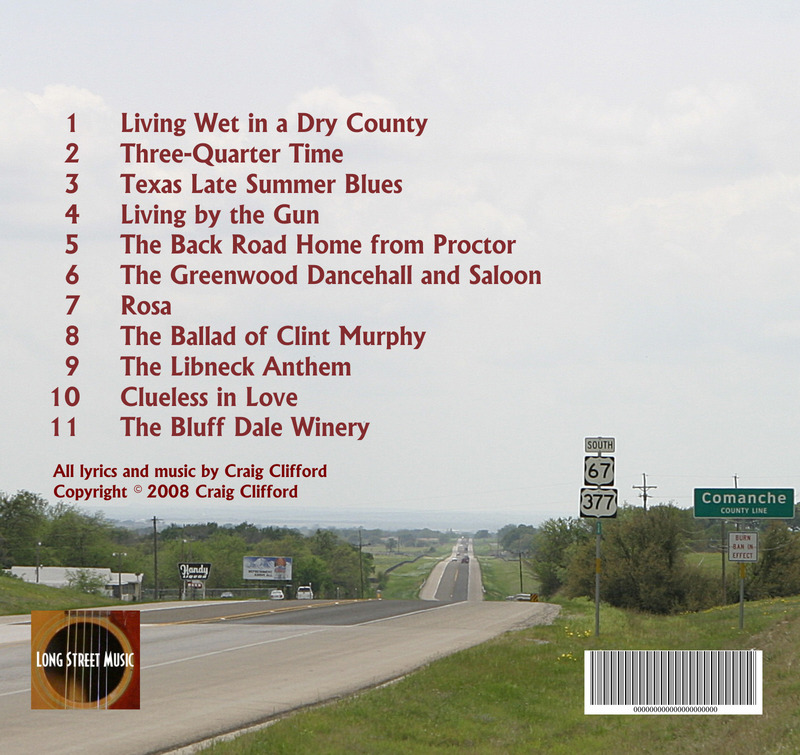 A concept album united by recurring characters and events and the spirit of a place, it ranges from the up-beat rockabilly sound of “Living Wet in a Dry County” to the poignant slice of Texas life in “Three-Quarter Time” to the dark and chilling drama of “The Back Road Home from Proctor” to the Dylanesque talking blues of “The Libneck Anthem.” In the tradition of Texas singer-songwriters like Townes Van Zandt and Guy Clark, Clifford is first and foremost a storyteller inspired by the lives of the people he sees every day. “They are, like all humans, flawed and fated by their circumstances, but their grit and heart make me want to write songs about them,” he says in the liner notes.